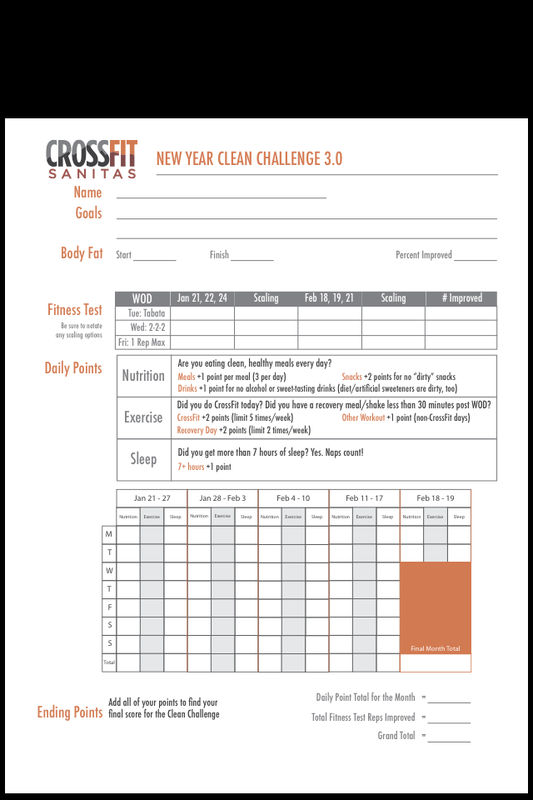 Clean30 Starts….. NOW. Well, technically this morning but you get the point. In case you missed my post about the Clean 30, my box is doing round 3 of 30 days of strict paleo. It’s meant to show you how good eating clean can make you feel, look, and how much it can improve your fitness… also…the most important part… it’s a competition. You get points for different achievements (attending CF WOD is 2 points, working out outside CF 1 point, totally clean meal 2 points, a day with no no alcohol 1 point, 7+ hours of sleep 1 point so on and so on) and you keep track of them on a nifty little scorecard they give you. 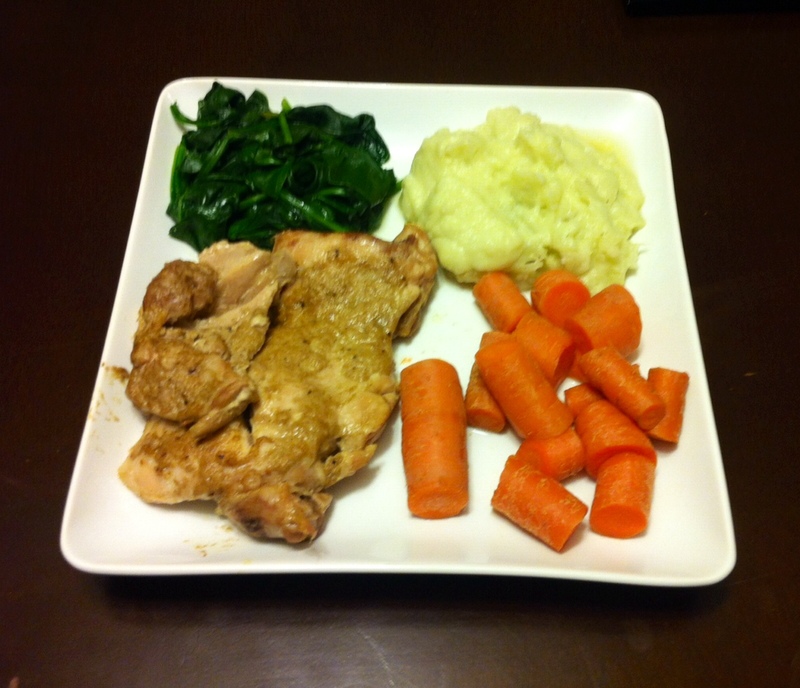 ANYWAY, today’s dinner: Mustard Chicken Thighs, cooked spinach, cooked carrots and mashed cauliflower. The entire dinner for 2 and leftovers took me all of 15 minutes to prep and a total cook time of less than 30 min. So easy. 1. Melt butter in microwave, takes about 10 seconds. 2. Mix butter and dijon mustard and pepper. 4. Cook in oven at 350 for about 20 minutes or until done. 5. Go spend the rest of your night relaxing because dinner took no time at all to make. For the spinach – I placed raw spinach leaves in a saucepan with a bit of water, garlic powder, butter and salt. Cooked on medium for about 10 minutes. Cauliflower – Steamed in a pot until soft, mixed in nutribullet with butter and salt. Carrots – steamed for about 20 minutes and squeezed orange juice on top. IF YOU DON’T LIKE COOKING and still want delicious gourmet paleo meals for $12.40 a meal – check out my last post on Caveman Cafeteria’s meal delivery. They are offering $50 off a month of delicious and nutritious meals if you use the promo code “BeAboutIt” after clicking here. This entry was posted in Uncategorized and tagged clean 30, clean eating, CrossFit, diet, Healthy, Paleo, promo code, Recipe, whole 30 by fionaboger. Bookmark the permalink.